What should we know about NYC cleaning service? 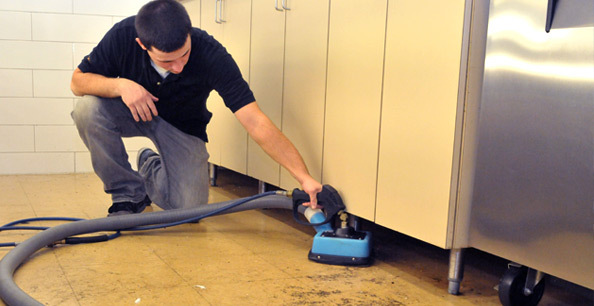 NYC cleaning service – isn’t just a simple cleaning, like someone may think. It supports the full care of furniture, office equipment, carpets and all other materials which are in your home. If you want your negotiations to have a positive impression on your business partner, and living room – on your friends and guests, it will be difficult to do without NYC cleaning service. Moreover, it’s the question of certain prestige’s, because in business circles it’s not a common practice to use services of maids and to spend long hours polishing floor and stove at home. More and more people are turning to companies which provide cleaning trained personnel, specialized equipment, and detergents. According to statistics, during the last ten years the cleaning market increased by approximately 30-40% per year and today almost every second company orders the professional cleaning of offices and commercial premises. And about 41% of customers of cleaning are banks, government offices, business centers, 39% – malls, supermarkets, 20% – HoReCa, warehouses, medical and educational institutions. For residential quarters this service is ordered not so often, but every year the popularity of cleaning service increases also among physical people. If to speak generally about NYC cleaning service, it should be mentioned that there are 3 types of cleaning services in Manhattan. Cheap price. Of course, the cheap price is a good solution for those companies which do not have enough accumulated reputation and customer base. That’s why the novices in NYC cleaning service sector create their own value – a bit cheaper price than the market price. The companies-beginners do not have enough experience at the beginning of their career and perhaps even high-tech equipment in order to provide the best service for customers. Firstly, such company’s staff with all the desire can’t have enough professional qualities to cater for secondary and higher complexity orders. To use the services of these companies which artificially reduce prices is a little bit dangerous. After all, you never know what can be turned such a cleaning. They have already established in the market but they are still not sufficiently experienced for VIP clients. Exactly. You should not forget who lives in Manhattan. I think that every resident of New York, who lives in Manhattan can already be called VIP customer. In our work, we often have to deal with very specific and expensive surfaces. Because cleaning marble and mahogany isn’t the same as washing windows in the living room. I mean that cleaning of expensive materials really needs professionals who have been working more than 10 years in this sphere. Companies which have been working more than 10 years are the most popular in Manhattan. You just trust them implicitly. After all, their reputation speaks for itself. We are happy to announce that our company has been working in NYC cleaning service segment for more than 10 years. And during this time we have gained an excellent reputation and many grateful clients.